Aerial view of car driving through field in Turkey. Road trip flying above car on highway in the Turkey countryside. 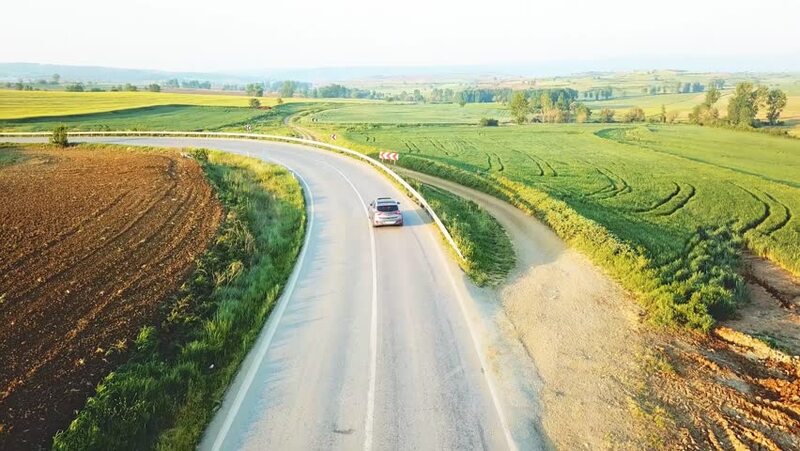 4k footage of car on road in green farm landscape for summer vacation. 4k00:18Aerial shot of highway on the bridge. 4k01:00UHD 4K aerial view. Mid-air flight over rural dirt road with car. Yellow rural field at sunny autumn evening. Green trees on horizon. Horizontal movement. 4k00:30UHD 4K aerial view. Mid-air flight over rural dirt road with car. Yellow rural field at sunny autumn evening. Green trees on horizon. Horizontal movement. 4k00:15UHD 4K aerial view. Mid-air flight over rural dirt road with car. Yellow rural field at sunny autumn evening. Green trees on horizon. Horizontal movement.